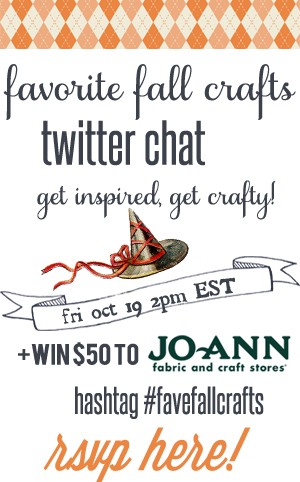 Before the party I just want to let you guys know about the Twitter chat that will be going on all about Fall crafts and ideas. Hope you will join in! Thanks for another great party, Allison! Good morning and thanks for another link party! With the weather getting cooler, my dessert needs change. I want spicy cookies-but hate the calories. So, I came up with a Skinny Ginger Puff Cookie Recipe (#96) that satisfies those spicy cravings. They're made without shortening or sugar, but taste amazing. I hope you enjoy! Allison, Thanks for the linky party this week. I know everybody is doing fall colors but this is Breast Awareness month...so I did pink♥ for the DYI party. Hi Allison, thank you so much for hosting again, I really like linking up here! Thank you for hosting! You have a darling blog. Also, please pass on a big thank you to your husband for serving our country. Thanks to you too. They wives of our servicemen deserve a big thank you too!! Thanks so much ladies!! I appreciate it! Thanks for hosting, Im new to blogland and I'm trying to get my blog out there and make some friends along the way, Swing by I'd really appreciate your thoughts as im a daddy blogger and having a slightly more daddys view on everything.